The flag of Finland was introduced in the mid-19th century with the intention of making Finnish vessels more distinct from Russian ones. Finnish merchant ships had come under attack from Russia’s enemies and it was thought that future incidents of this kind could be avoided by sailing under a separate ensign. In 1861 Czar Alexander II gave Nylandska Jaktklubben (The Nyland Yacht Club) his assent to adopt a set of rules which allowed the vessels of club members to sail under “a white flag with an upright blue cross” and the complete coat of arms of the Province of Nyland in the upper corner. The following year, similar flags with the relevant coats of arms of their respective localities were decreed for other yacht clubs. This prompted a proposal in the Diet in 1863 that a flag for the Grand Duchy as a whole be adopted. However, the matter was never deliberated and lapsed. Nevertheless, the issue of a flag continued to germinate in the minds of citizens and numerous proposals concerning a “Finnish flag” appeared in the press. During the so-called Period of Oppression between 1899 and 1917, when Finland was subjected to an intense campaign of Russification, the issue arose again and resulted in the “Lion Flag” based on the coat of arms. Two different colour combinations were proposed in the discourse on the flag: red/yellow and blue/white. The motif most commonly proposed was a cross. Finland gained national independence in late 1917 and, naturally, needed an official flag. Since a consensus on what it should look like failed to emerge, the “Lion Flag” was provisionally adopted. The issue came up yet again after the Civil War in 1918 and a white flag with a horizontal blue cross was adopted. The design was similar to that of the other Nordic flags, but its colours made it sufficiently distinct. 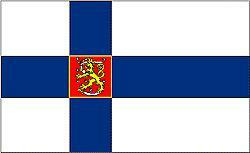 The official standard is stipulated in current legislation as Finland’s first flag. It has a blue cross on a white field, with the coat of arms in the centre. Other flags are derived from it. They include the basic flag without the coat of arms, the military banner with the coat of arms and three points, and the presidential standard, which has three points, the coat of arms and the Cross of Freedom in its upper corner. More information is available on the website of the Ministry of Interior. Not much is known about the origins of the Finnish arms. The monument of Gustav Vasa in Uppsala cathedral completed in the 1580s is the oldest known display of the emblem, and the design used in it was also adopted by the newly independent Finland as its national arms in 1917. Before that, the emblem had been used for the Swedish possessions east of the Gulf of Bothnia until 1809, and by Finland when a grand duchy of the Russian Empire. Using an emblem substantially deviating from this design as Finnish national arms or, as the law puts it, “selling any emblem violating legal provisions as the arms of Finland” is punishable by a fine. The orders are administered by boards consisting of a chancellor, a vice-chancellor and at least four members. The orders of the White Rose of Finland and the Lion of Finland have a joint board. 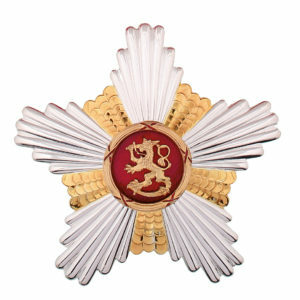 At stately functions the President of the Republic wears the Grand Cross of the Order of the White Rose of Finland on its collar and the Grand Cross of the Order of the Cross of Liberty on a yellow sash (signifying a peacetime decoration) hanging from the right shoulder to the left hip. On the left side of the jacket the President of the Republic wears the third Grand Cross and the Star of the Order of the White Rose of Finland above the Stars of the Order of the Cross of Liberty and the Order of the Lion of Finland. The President of the Republic has also received various decorations from other countries. 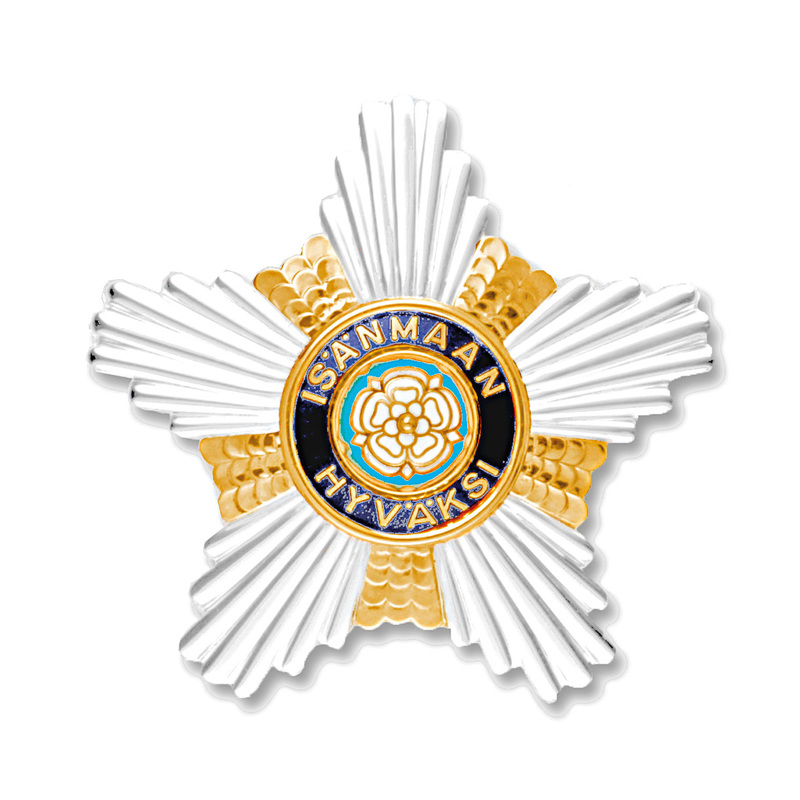 On a state visit to Sweden, for example, the President of the Republic wears the Badge of the Order of the Seraphim. The King of Sweden in turn wears the Grand Cross of the Order of the White Rose of Finland with Collar. The Order of the Cross of Liberty was founded on March 4, 1918, upon the initiative of General C.G. Mannerheim. 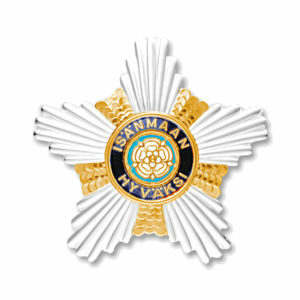 The renowned Finnish artist Akseli Gallen-Kallela was commissioned to design the Order’s insignia. Once Mannerheim had approved the drawings, the first decorations were ordered, on April 15, 1918. At first there were seven classes: grand cross, cross of liberty (1st to 4th class) and the medal of liberty (1st and 2nd class). The decorations of the Order of the Cross of Liberty were initially conferred only in time of war. But to safeguard the operations of the Order after the war, a decree was issued on August 18, 1944 enabling the decorations to be awarded also in peace time. The Cross of Liberty has a red ribbon when it is granted in war time and a yellow ribbon when it is awarded in time of peace. 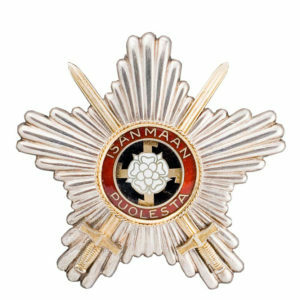 The Order of the White Rose of Finland was established by Mannerheim in his capacity as regent (temporary head of state) on January 28, 1919. The order’s rules and regulations were confirmed on May 16, 1919, and its present rules date from June 1, 1940. The revised scale of ranks was confirmed most recently in 1985. The decorations were designed by Akseli Gallen-Kallela. The honour can be granted for military as well as civilian merit. The ribbon for all classes is ultramarine. The President of Finland wears the Grand Cross of the Order of the White Rose of Finland on a neck collar. The collar is worn four centimetres from either side of the collar and hangs at equal distances at the front and back. 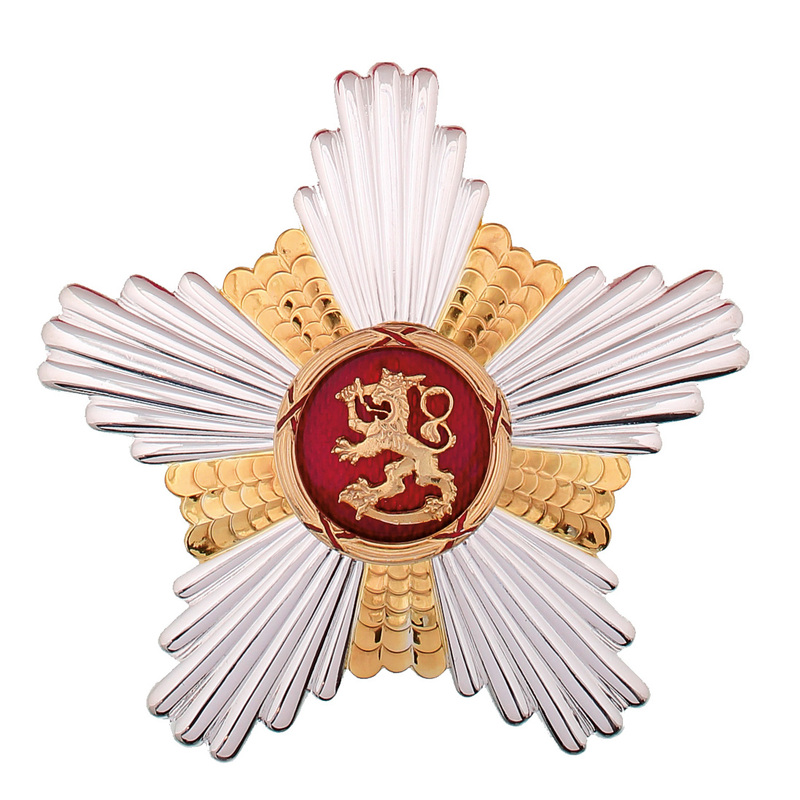 The President also has the Star of the Order of the White Rose of Finland. 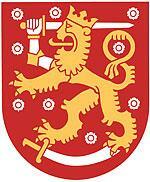 The Order of the Lion of Finland was founded on September 11, 1942. 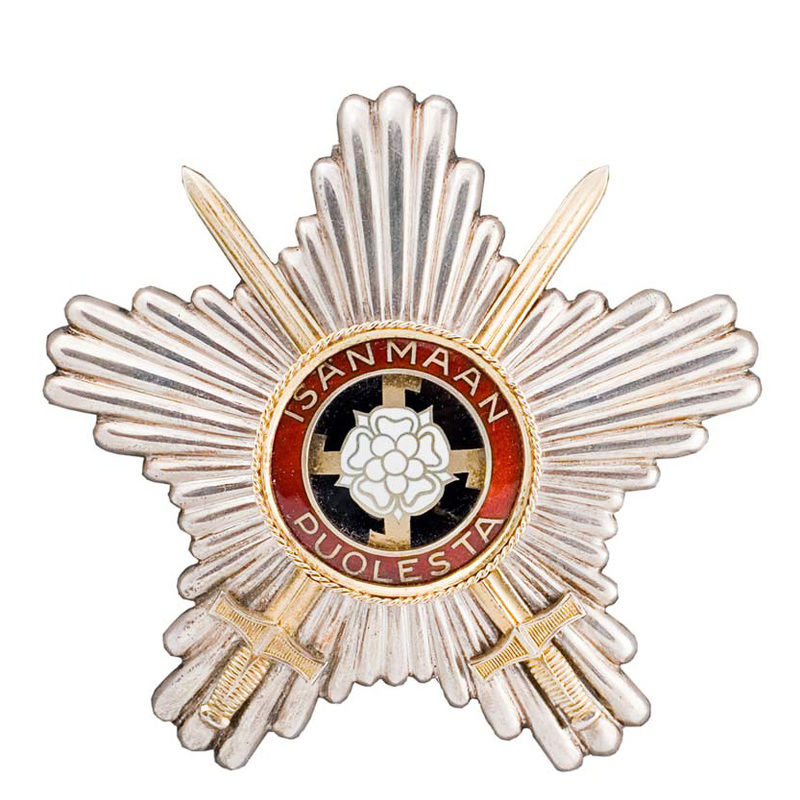 It was introduced in an effort to preserve the prestige of the Order of the White Rose of Finland, which could have been diminished if granted too frequently, and to facilitate the awarding of honours for various types of merit. The Lion of Finland is awarded for civilian and military merit. The ribbon for all classes of insignia is dark red. The President of Finland wears the Star of the Order of the Lion of Finland. The March of the Pori Regiment has been the official march of the Finnish Defence Forces since 1918. The exact origins of the march are unknown. It was arranged for brass band under its present name by the military bandmaster Conrad Greve. The words were originally by Topelius; the later version is by Runeberg.